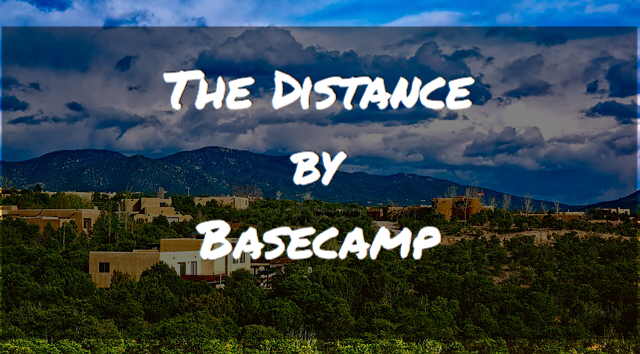 Earlier this week, My Money Blog posted a link to The Distance, a podcast by Basecamp about longevity in business, featuring the stories of businesses that have endured for at least 25 years and the people who got them there. I appreciate Jonathan bringing this podcast to my attention. I am a longtime fan of Jason Fried and the others at Basecamp. I’ve read most everything they’ve written and used their products. Basecamp is a company that I would love to work for or use as a model in my own company. The Distance podcast is fascinating. I’m a big believer that main street entrepreneurs such as those featured in The Distance are the lifeblood of this country. I enjoy hearing their stories and getting a feel for what they went through to create, grow, and survive for years as independent business owners. One such story that jumped out at me was this episode about an art gallery owner in Santa Fe. I live about 45 minutes from Santa Fe and know a few gallery owners. Ms. Financial Slacker and I have spent many hours walking along Canyon Road visiting these galleries. It’s a fascinating way to spend the day. Readers, I am always interested in stories about entrepreneurs. The Distance is a great resource. If you’re aware of other similar sites, please share.